This is a photograph of Philip Bratton Menninger, who was born in 1928 to Dr. William Claire and Catharine Menninger. In 1959 he married Georgia Wilma Haid. He received his degree in business administration and, like his brothers, applied his talents to the work of the Menninger Foundation. 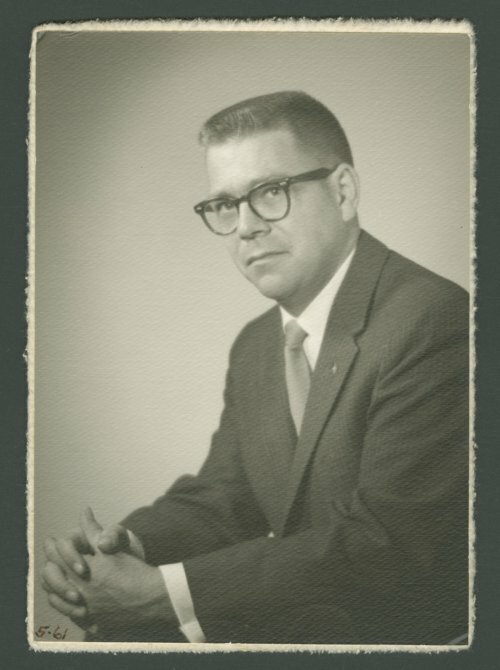 He was a Menninger trustee for 40 years and on the administrative staff in various capacities, such as director of development services and director of employee wellness.